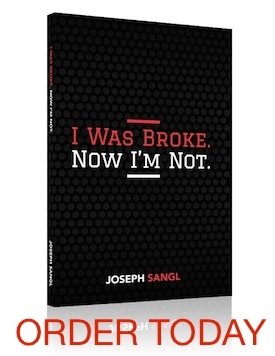 I am excited about a new series coming to JoeSangl.com next week. The new series is called "Setting Goals". In this series, I will be sharing the process that I use every year to establish yearly goals. I have found goal setting to be one of the most rewarding parts of the year. It is a time where I am able to reflect on progress made over the past year and to dream about what could be in the year to come. Until then, why not begin thinking about what your plans were for 2008. How did the year go? What wins did you experience? What unexpected stuff appeared? Where are you headed next? Sounds great, Joe! I will be anxiously awaiting your new series!!! Thanks for inspiring us. Goals?? Plans?? You mean we’re not supposed to be winging it? This will be a new experience for us. Looking forward to it, Joe. As you can probably guess, we really need to learn how! Thanks for your help getting on track. Our goal is to be debt free except for the house and have a more than fully funded emergency fund by the end of 2009! Then it’s on to investements and college fund for our 8 month old! I only have 17 years and 4 months before it gets here! Whew how time flies! Thanks for the continued inspiration and encouragement! Merry Christmas to all!